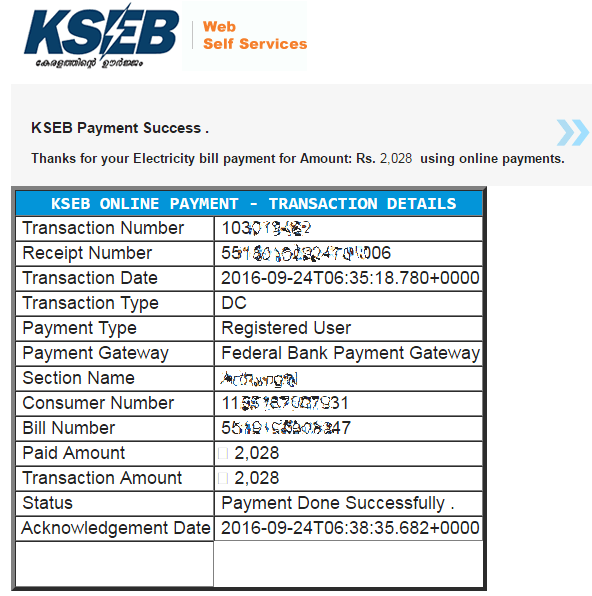 This KSEB bill payment method is for registered users of KSEB web self service portal. 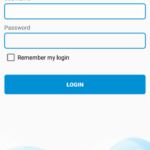 Once registered in KSEB web self service portal, a consumer can log in to his/her account in KSEB web self service portal and view or pay outstanding bills if available. 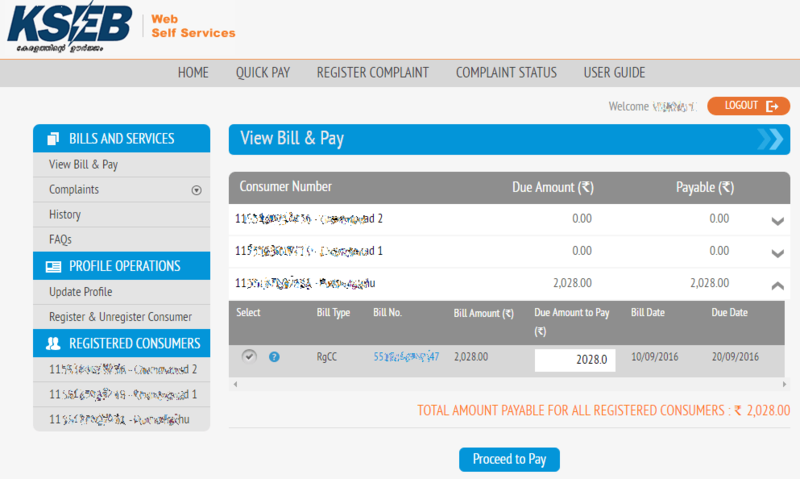 A registered user can add multiple consumer numbers in his KSEB web self service account and pay all bills at once. 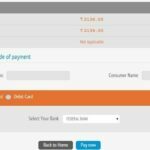 This is the easiest method of KSEB bill payment online. The only disadvantage of this method is , a consumer should remember his/or her user name and password of KSEB web self service portal account for KSEB bill payment using this method. For detailed instructions to register in KSEB web self service (WSS) portal, follow below link. 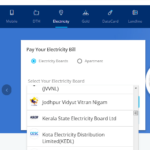 If you don’t want to spend your time to register in KSEB Web Self service portal, you can pay KSEB electricity bill without registration using KSEB Quick Pay service. For detailed instructions, follow below link. After successful registration, a consumer can log in to his KSEB WSS account using user name and password selected at the time of registration. For logging in to your KSEB account follow below link. Type user name and password in the space provided on the right side and click “ Sign In“. If both user name and password are valid, you will be redirected to your account dashboard of KSEB WSS portal. You can view details all your consumer numbers you have added there. If any outstanding amount exists, you can view it under ” Due Amount ” head. Click “Register & Unregister Consumer” on the left side. You can also unregister any consumer numbers which are already added to your account from there. For more details of your bill, click the ” down arrow ” button on the right end. 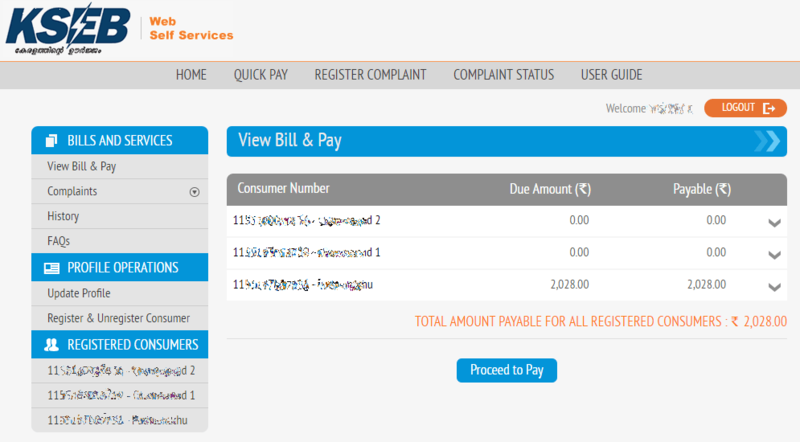 For viewing your bill click on your bill number displayed in blue. You can pay multiple bills at once which are added in your account. For this, click on the check box on the left end of each consumer numbers you want to make payment. 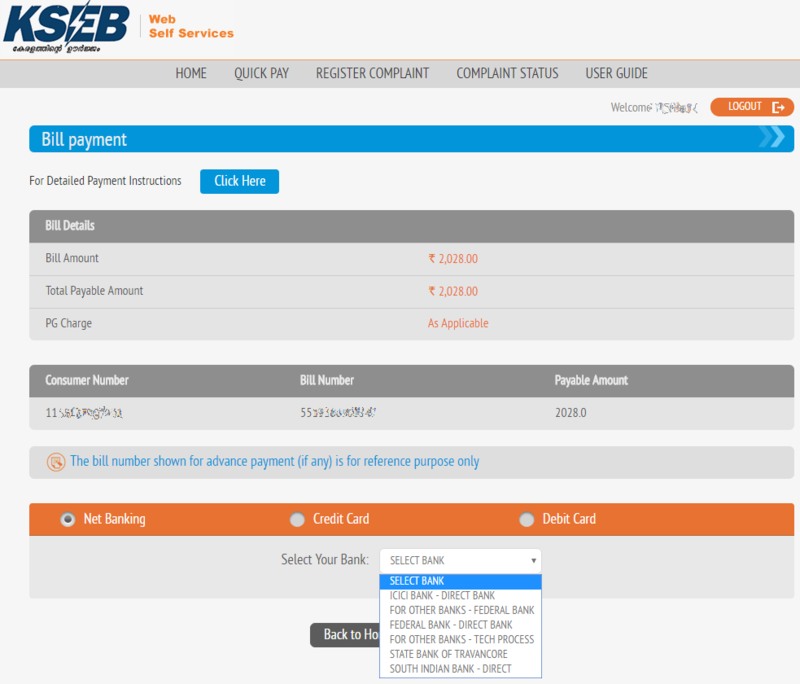 For continuing with KSEB bill payment, click “Proceed to Pay“. After selecting payment mode, click “Proceed” and make payment carefully. 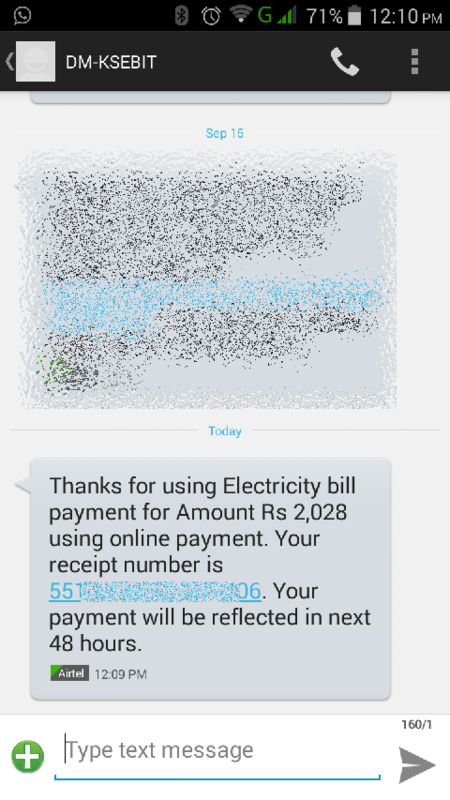 After successful completion of KSEB bill payment, you will get confirmation message on the screen. After that a payment success message will be sent to your registered mobile number and registered e-mail ID (Refer screenshots below).